I need a new sofa. Well, I need another sofa. I love the sofa I have, but I am dying to add some bold color to my otherwise subdued living room. And on a rainy day this week, I spent the day moving my furniture around and around to no avail. 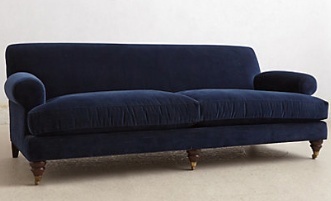 This is the Willoughby sofa I have my eye on… in fact, Anthropologie has a whole gaggle of furniture I wouldn’t mind adding to my maison. 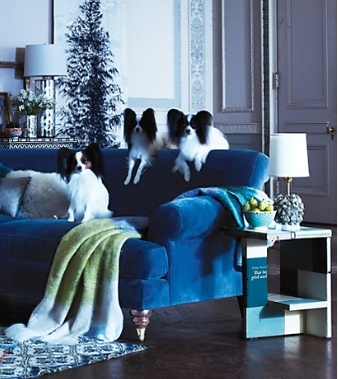 Take a good look at this lucious velvet sofa. Isn’t it delish? I need one as well. Will we get a discount for 2? These look pretty good. Even better with our velvets on 😉 A nice bit of kid mohair perhaps.